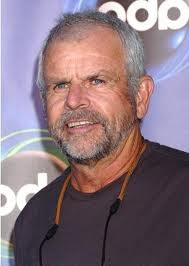 William Devane loves gold. It's no secret. The man reminds us every day and night with his commercials. But did you know the man also loves listening to songs about the glittery stuff? The other day while Willie D was busy counting his coinage...I had the opportunity to sneak a peak at his gold-plated iPod. These were the songs that came up first. Up in the morning and off to...wherever...but not before mega-blasting this motivating day-starter! ..if there's one thing William Devane really likes...it's the sound of coins, preferably gold coins, bouncing around in his pockets. This is William Devane's "go to" conversation starter with the ladies. ...Anything by Eddie Money, really. Sadly, no songs about gold, but he just loves the guy's name. Known for his roadside shenanigans, when strangers ask William...how to break into show business...he quickly tells them, "Head East" and then cackles madly while driving off in his Bentley throwing them the (Gold) finger. ...a big, big Alice Cooper fan...William likes wrongly singing about Ethyl's "gold"...because he keeps part of his investment hidden deep inside the freezer, too...buried underneath the ice trays. Nothing says "It's the holidays" in the Devane household...like curling up in a soft gold Snuggie and nursing an extra-hot eggnog toddy with Burl Ives on repeat.